There’s an epic, secret underground mission unravelling and only a few pretty important people over at Cartoon Network are in the know. Who’s invited? Everybody! 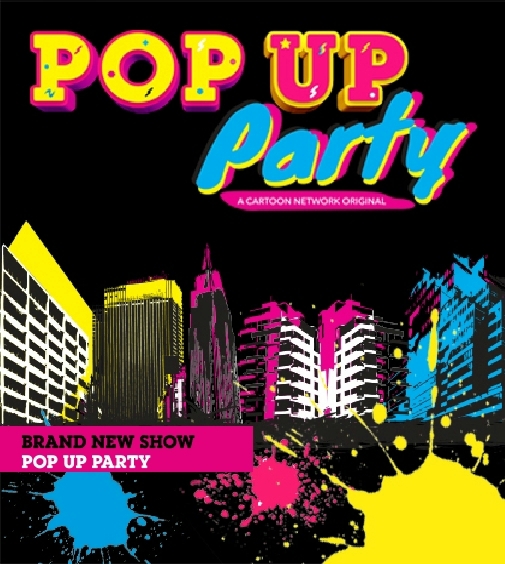 In the ﬁrst ever locally-produced series, exclusive to Africa, Cartoon Network has selected a talented, dynamic crew of young urban dancers to pop-up across South Africa, each time, at a different location. Disrupting the scene, the dance crew will take over creating a fun, interactive experience for all onlookers to enjoy. This series is the most contagious, unpredictable, African-spiced, dance party on the continent. Where will the crew turn-it-up next? The global phenomenon YoKai Watch, is taking Africa by storm! Based on a popular Nintendo game, this Japanese series has experienced mass global success; YoKai Watch, now coming to local screens across Africa where the fun and adventure may begin! A chance encounter with a mysterious Yokai named Whisper changes the life of ﬁfth-grader Nate forever. He is given a magical watch that allows him to see and interact with the secret world of the Yokai, invisible entities terrorising the people and complicating everyday life. Robin, Starﬁre, Raven, Cyborg and Beast Boy, also known as the Teen Titans, are back for a brand new series of comedic misadventures! Robin has come up with a new, full-proof plan to make Starﬁre fall in love with him. He’s decided that he is going to transform himself into a cat! Meanwhile, since Robin won’t give the team any direction or order (hoping they’ll learn to think for themselves), the Teen Titans begin taking hints and clues as to what to do from fortune cookies - what on earth could possibly go wrong?